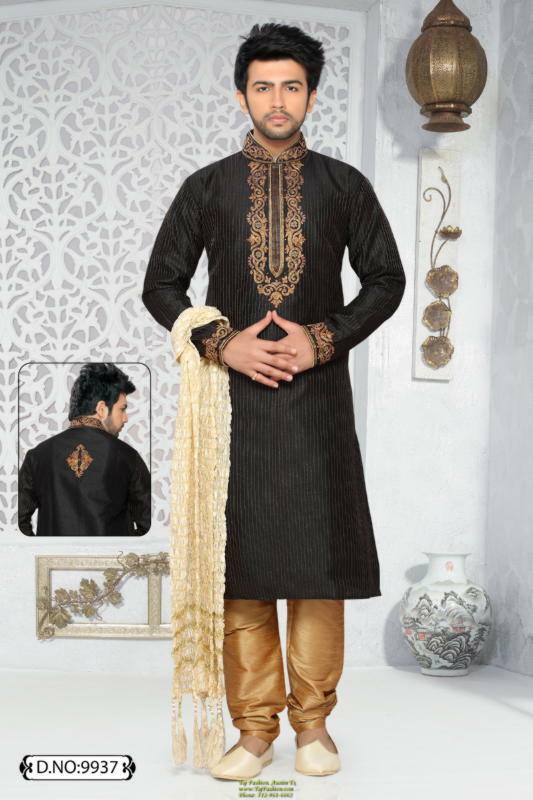 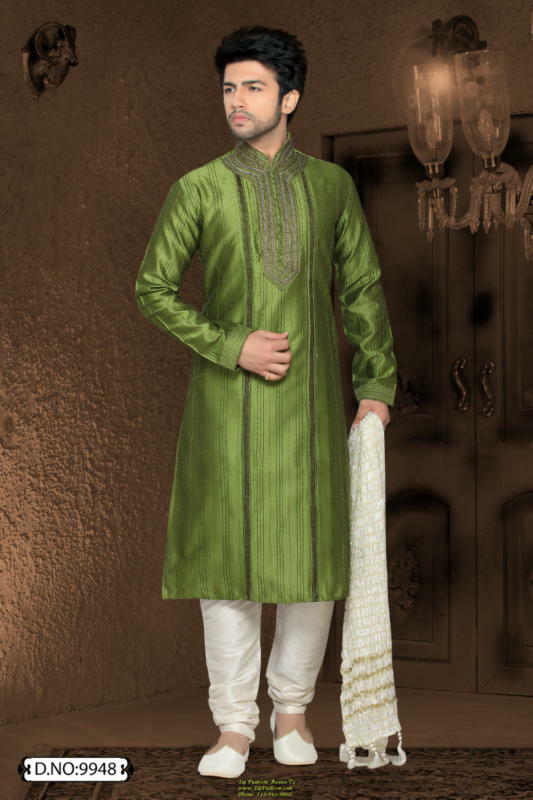 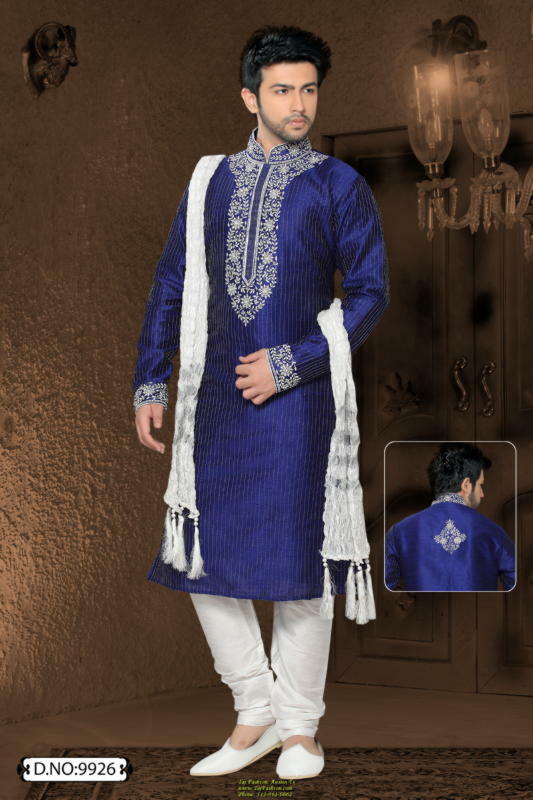 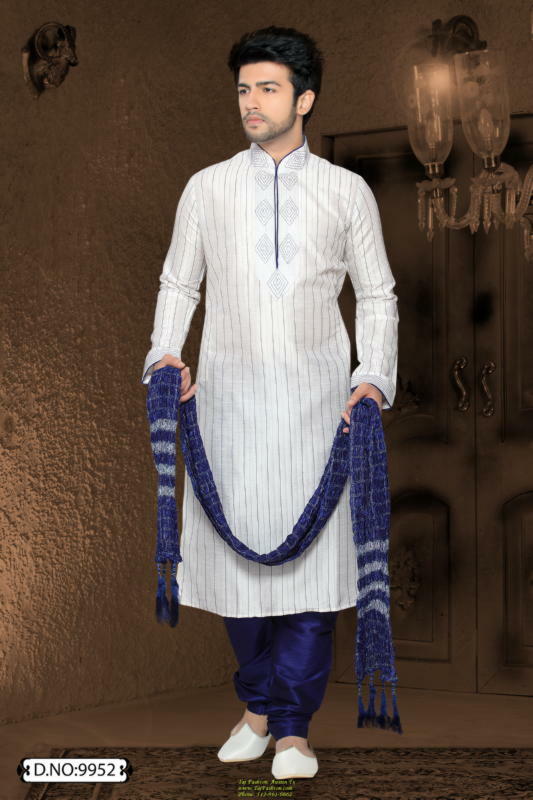 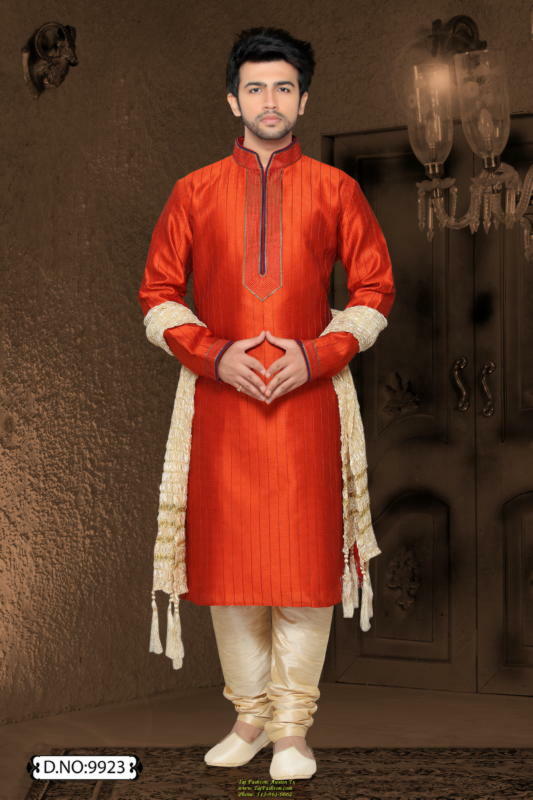 Men's dresses in India just not present the tradition but they also reflect the personality. 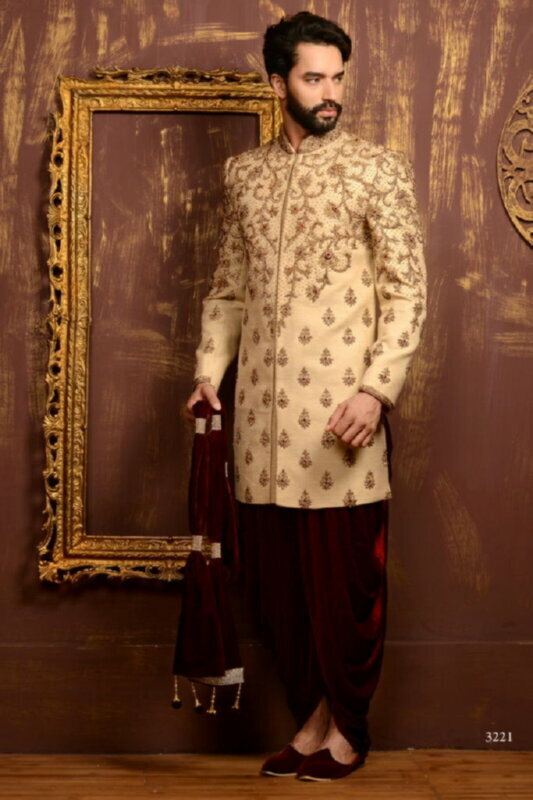 There are so many variations and accessories go with each type, the possibilities are endless. 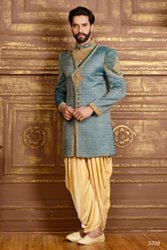 At Taj Fashion we carry everything from head to toe, Safa (turban) to Mojari (shoes), you will find everything at one place. 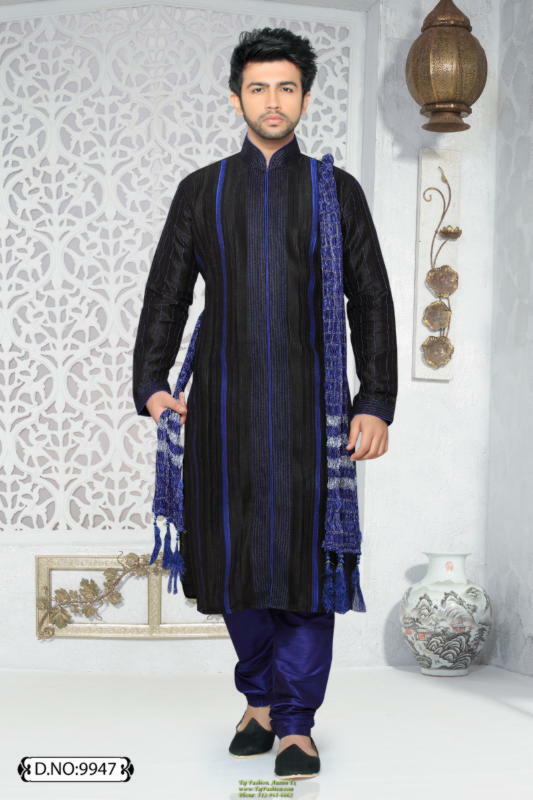 These kurta and pyjama combinations are not too heavy but elegantly designed to wear on parties. 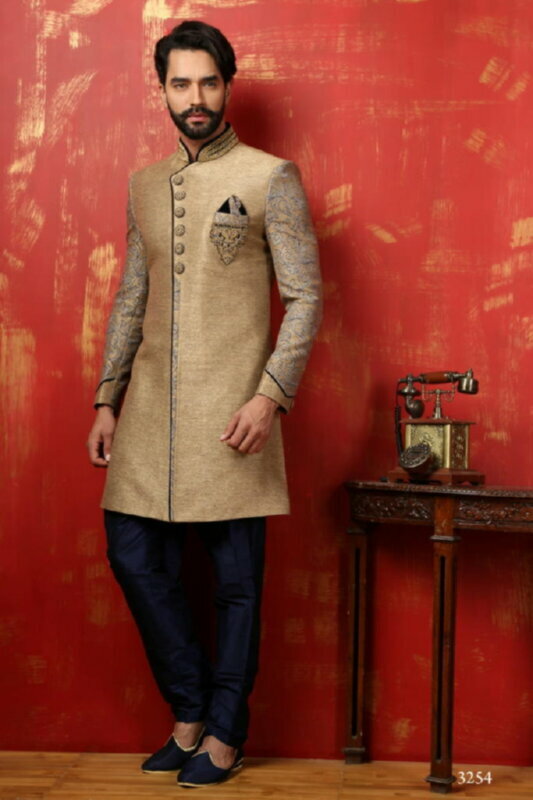 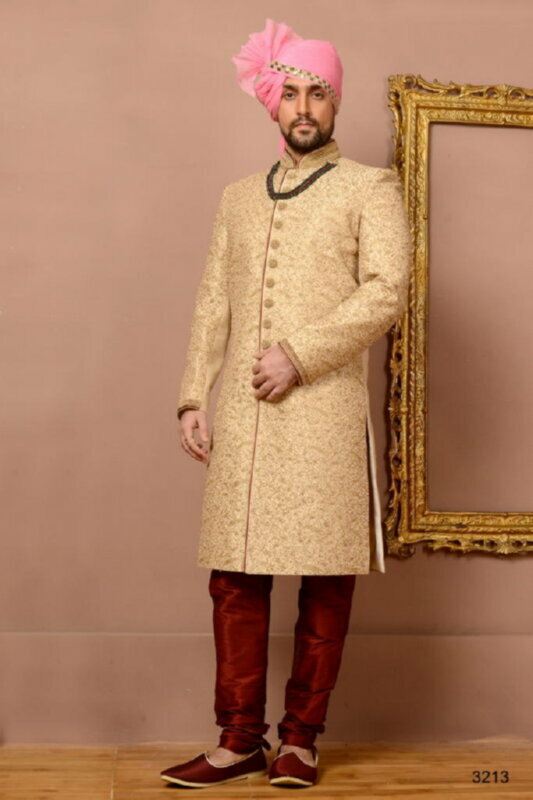 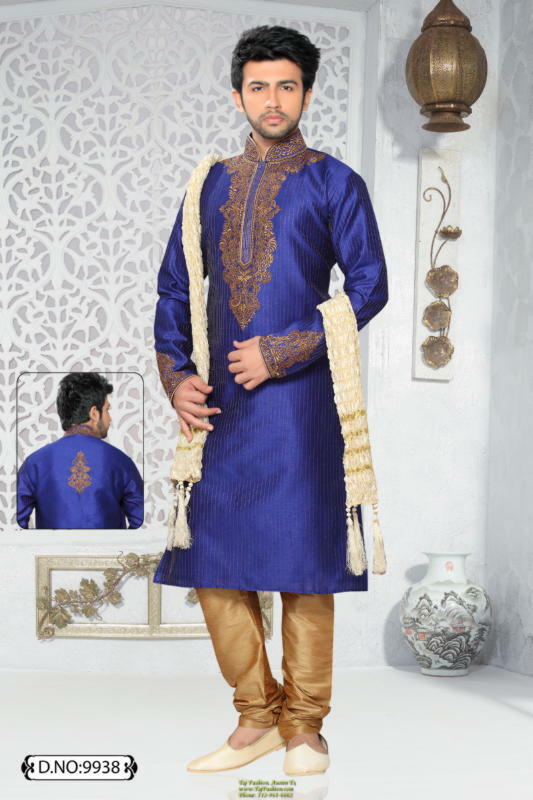 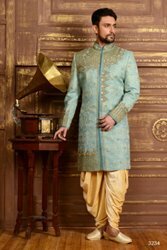 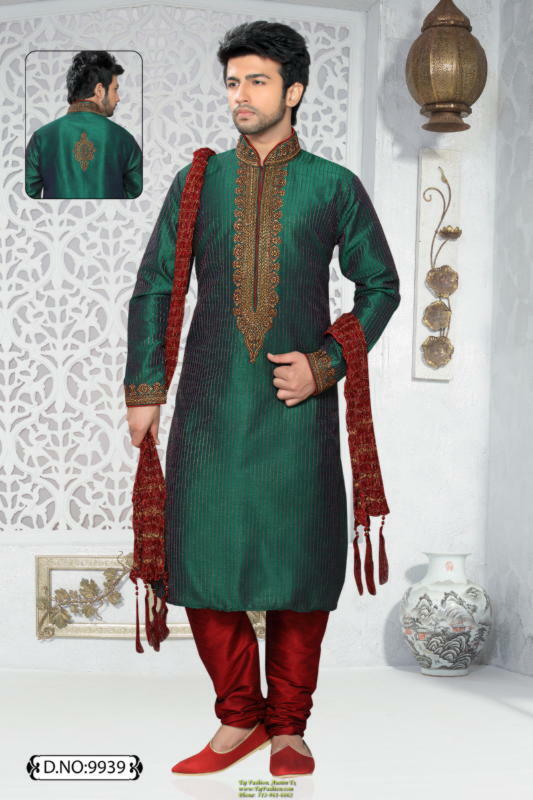 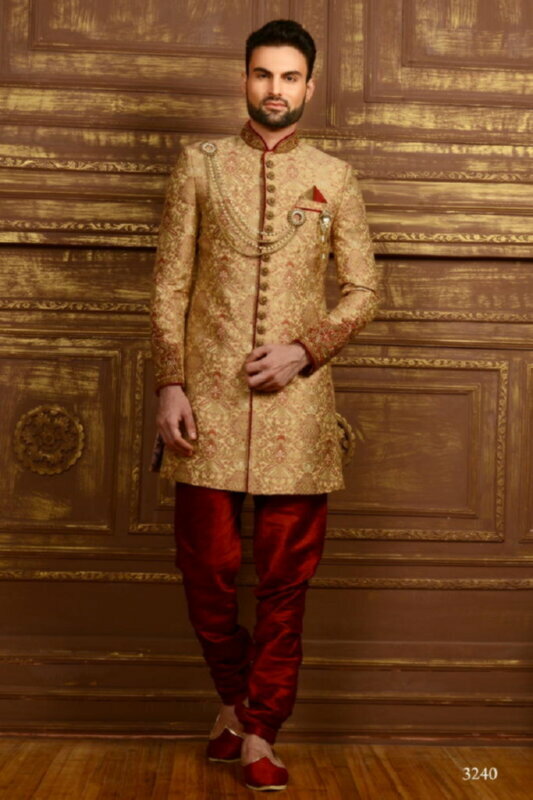 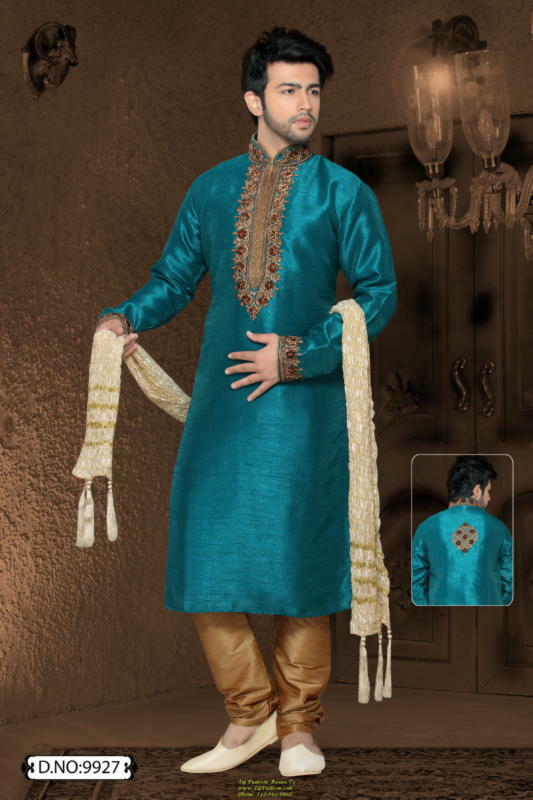 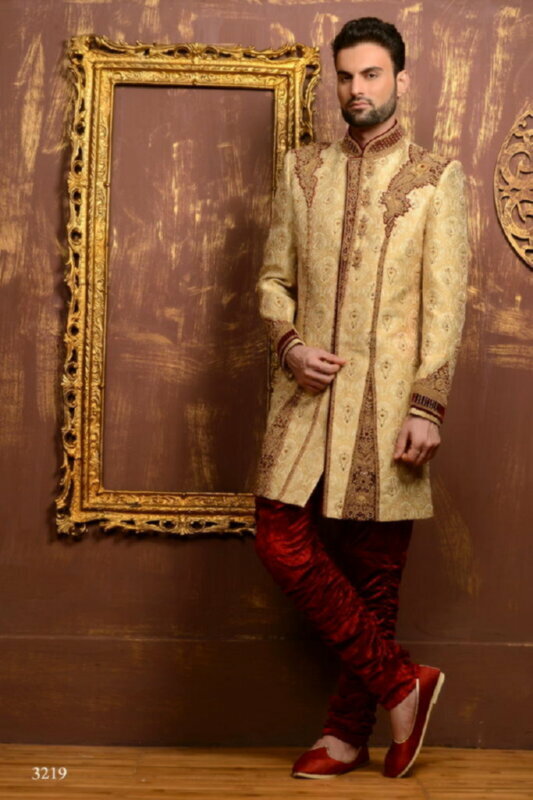 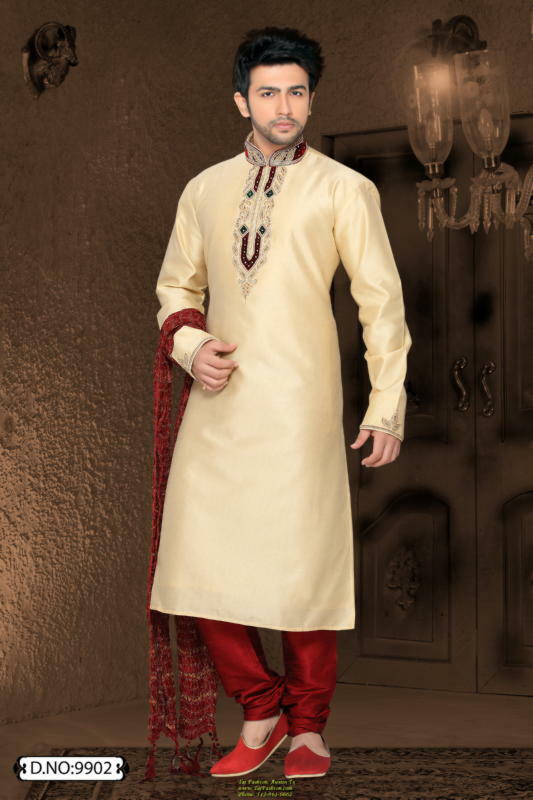 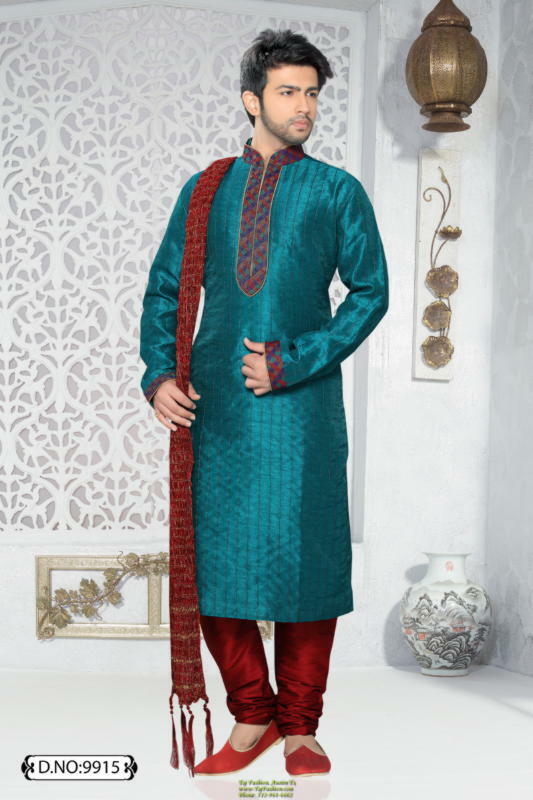 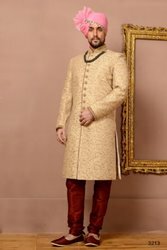 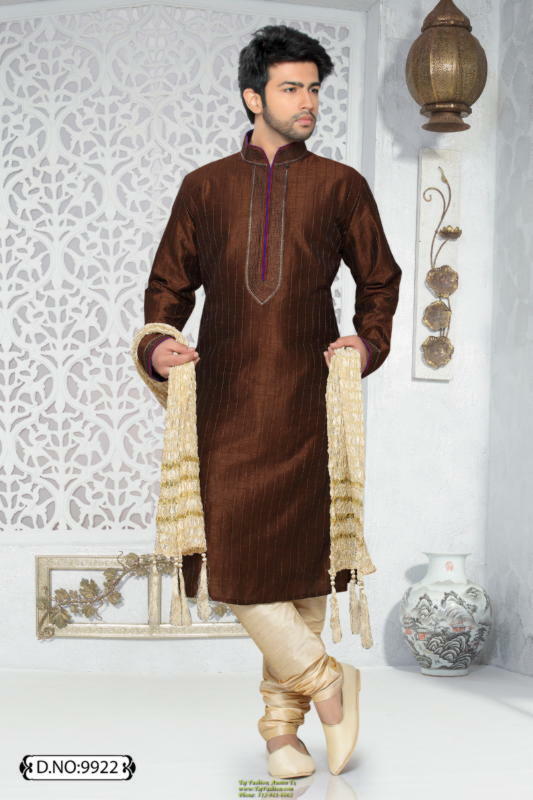 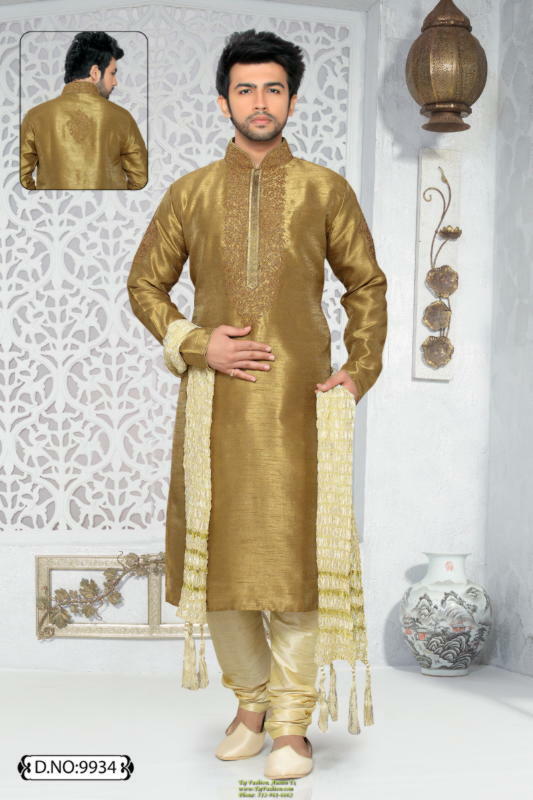 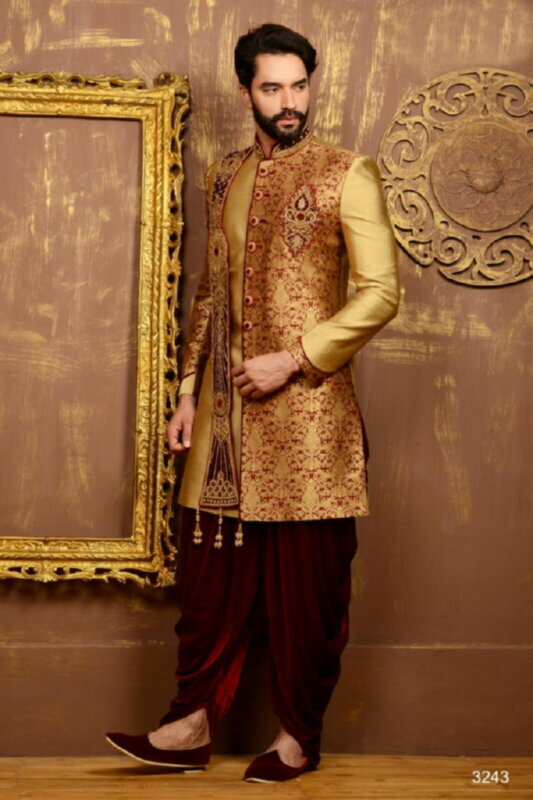 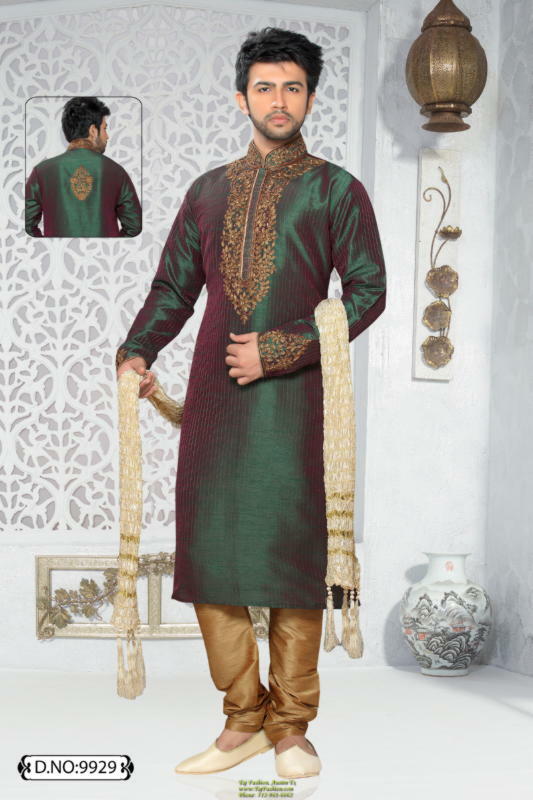 Traditional Indian wedding wear for men. 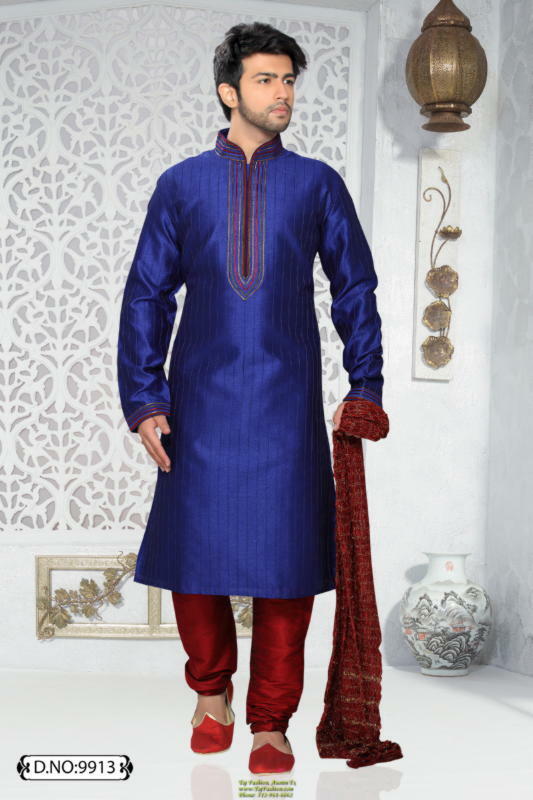 Cotton and Silk mix kurta and pyjama for party and pooja. 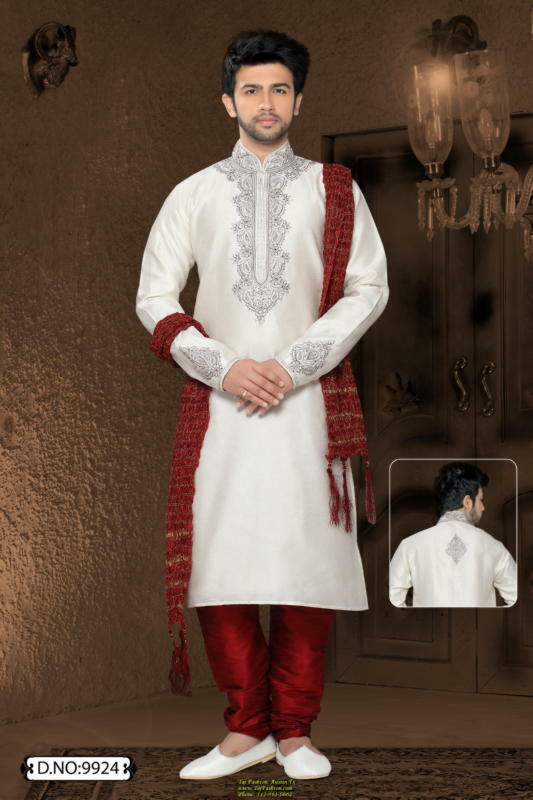 Wear at home, temple or in a party.